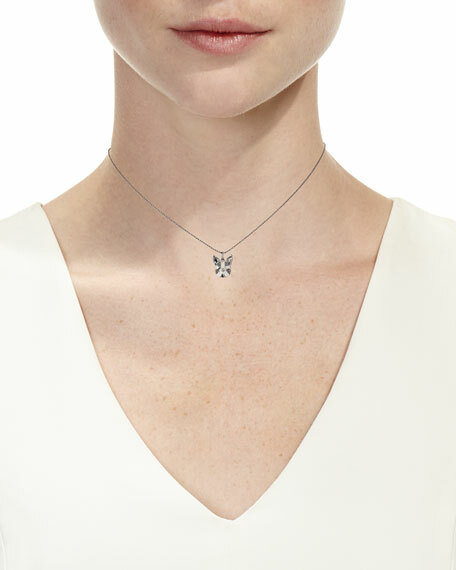 Sydney Evan diamond Boston terrier pendant necklace. Polished 14-karat white gold and black rhodium hardware. 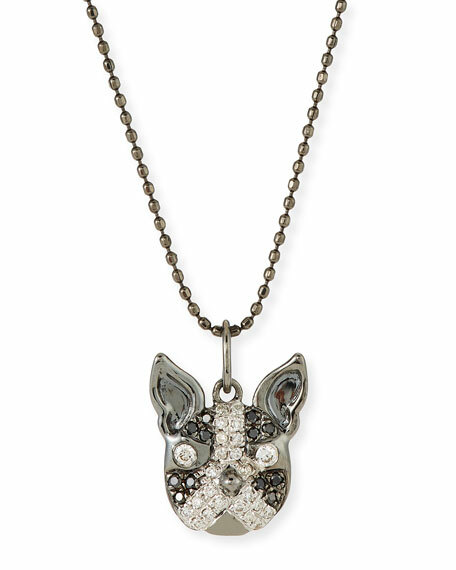 Black and white diamond pavé Boston terrier pendant. 0.13 total white diamond carat weight. 0.06 total black diamond carat weight. Approx. 16"L chain; 0.4"L drop; 0.3"W.